On board with the idea of owning a 3D printer? That’s great. What’s not so great is the ridiculously exorbitant price tag slapped onto most of the more comprehensive models. If you’ve done your research, you’ve probably already seen this - most models are a bare minimum of $5,000. For the average person, that price is far too high. You’re probably looking for a neat, useful gadget... not something that costs 6x the price of rent. Below, I’ll outline three 3D printer models for you to take a look at. I’ll tell you how much they cost, but I’ll also tell you why I think the price is worth it. Keep reading. 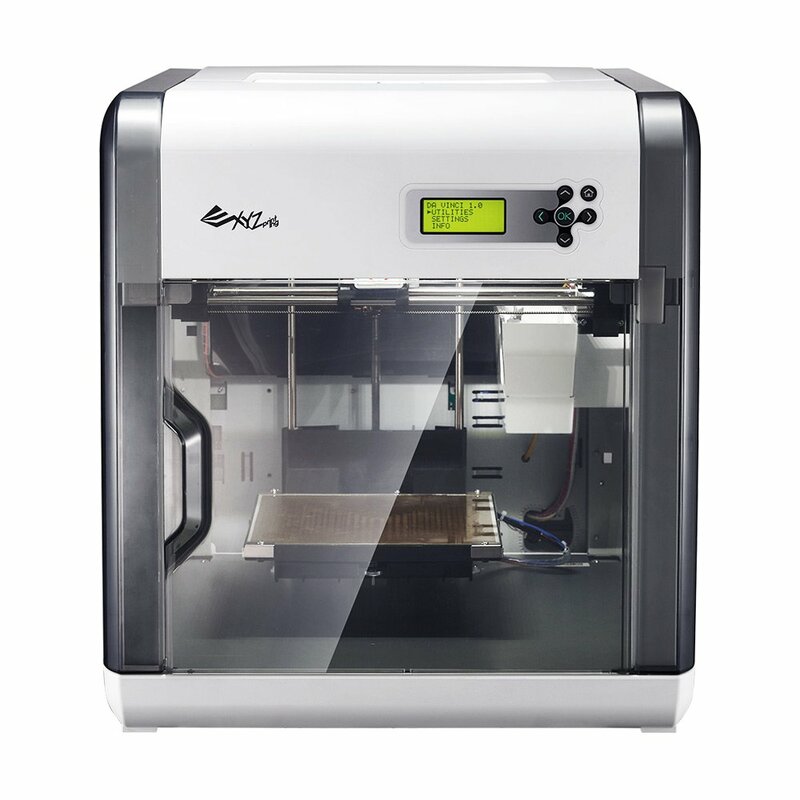 Flying in at #1 is the Da Vinci 1.0 from XYZprinting. As you can tell by the name, this company was built around its drive for affordable and simple 3D printers. This is a 3D printer that doesn’t have very many bells and whistles, but at the same time, it’s more than just a base. The problem you run into when the price is this low on 3D printers is the fact that they’re just too… bland. They print tiny objects, and they don’t print them well. Da Vinci isn’t a massive printer, but it does max out at plastic objects that are 7.8” x 7.8” x 7.8”. To visualize that, go grab the nearest ruler. It’s not enormous, but it’s still relatively substantial. Basic toys and artwork can be created within that size. Aside from the size, I think that this one is the best you’ll find for a price of under $500 because of its usability. It’s ridiculously easy to use - even kids can use it. It updates automatically. It’s almost assembled when it arrives in the box. For hobby enthusiasts trying to get the best price on a 3D printer, this is your best bet. It’s the #1 seller on Amazon for a reason. #1 is more of a toy than a machine. Creator Pro from FlashForge is most certainly a machine. Many of the reviewers mention two things - there’s a slight learning curve on this machine, and it can produce prototypes. Those two points indicate that this model is in fact pretty advanced, and it can print designs that are more than “just for fun”. 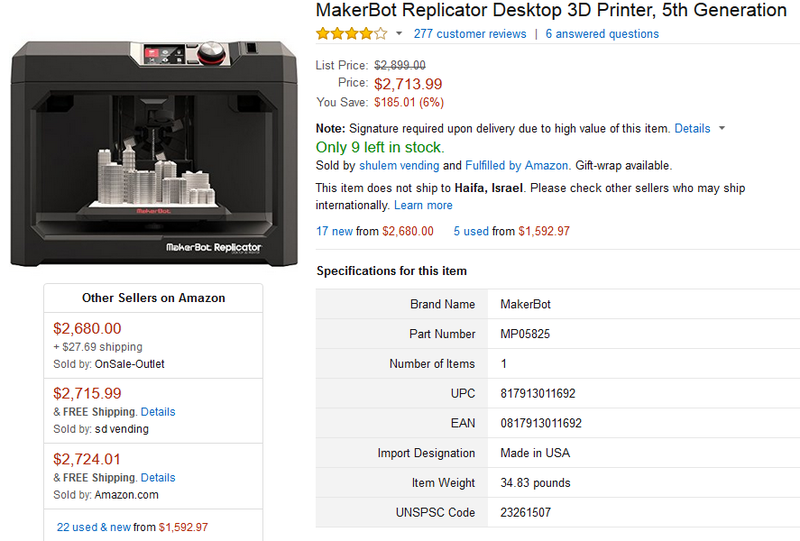 Okay, but besides that, where on earth does the $1,000 price increase on this 3D printer come from? Let’s start with the construction - it’s a sturdy, warp-resistant metal frame. You’re not going to be moving this thing around much, but even under heavy use, the integrity of the frame that’s holding the entire thing together will not be compromised. The real value comes in the precision, though. The Creator Pro handles 45 and 90 degree angles with ease. Other printers come close to hitting the exact trajectory, but the issue with them is that they’re always just a little bit off. This tiny miscalculation can lead to problems, especially if you’re printing items that require attention to detail. Aside from precision, the Creator Pro is just easy. The touch screen LCD display means that you have an accurate assessment of what the printer will be doing once you hit the green button. USB and SD card support means that you can use the printer offline, and you can quickly import or export designs for further usage. We’re not sure why the M2 doesn’t get more love. It’s a high-end printer at a fraction of the price. With the rest of the 3D printers on this list, you’ll find functionality sacrificed for price. As in there are flaws in the other machines, but because the machines are cheaper, those flaws are acceptable. In the MakerGear M2, there’s only one flaw, and it’s not a big one - the fan. 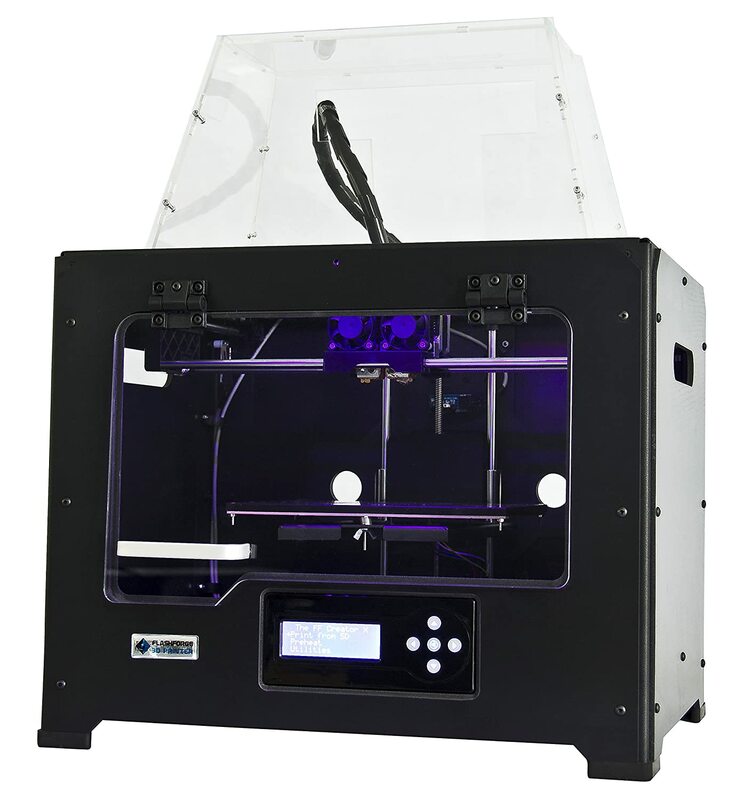 It doesn’t cool as fast as reviewers would like, but aside from that, they claim that this machine works better than the $3,000+ 3D printers they’ve purchased in the past. In fact, there’s not a single 1, 2, or 3-star review. There are three 4-star ones, and the rest of the 77 reviews are all 5-star. This is pretty significant, especially with a 3D printer price coming in at close to $2,000. 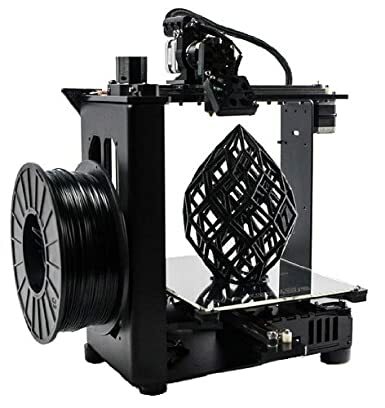 The people reviewing this machine aren’t 3D printing newbies who have no clue how to tell a good one from a bad one - they’re the veterans who know the ins and outs of 3D printing. So if price isn’t a factor for you and you want a sturdy ace-in-the-hole, go with the M2. You can spend more, but the higher price won’t result in a higher quality machine. Even the $2,800 model available on Amazon doesn’t have ratings like the M2 does… in fact, it only commands a 2.5 star rating overall. When you’re spending thousands of dollars on something, you only want the best of the best. The MakerGear M2 is the best of the best. Buying 3D printer designs - while it’s entirely possible to create designs of your own, intricate designs are also sold online. The issue is that some cost $100+, so if you don’t plan on learning how to engineer your own designs, make sure to take some money out of the price to put aside for designs. That’s about it. No matter what your price range is, scroll up and select one of the 3D printers above. You’ll get the most out of them, and their prices are relatively affordable considering the features they have inside. Happy printing!